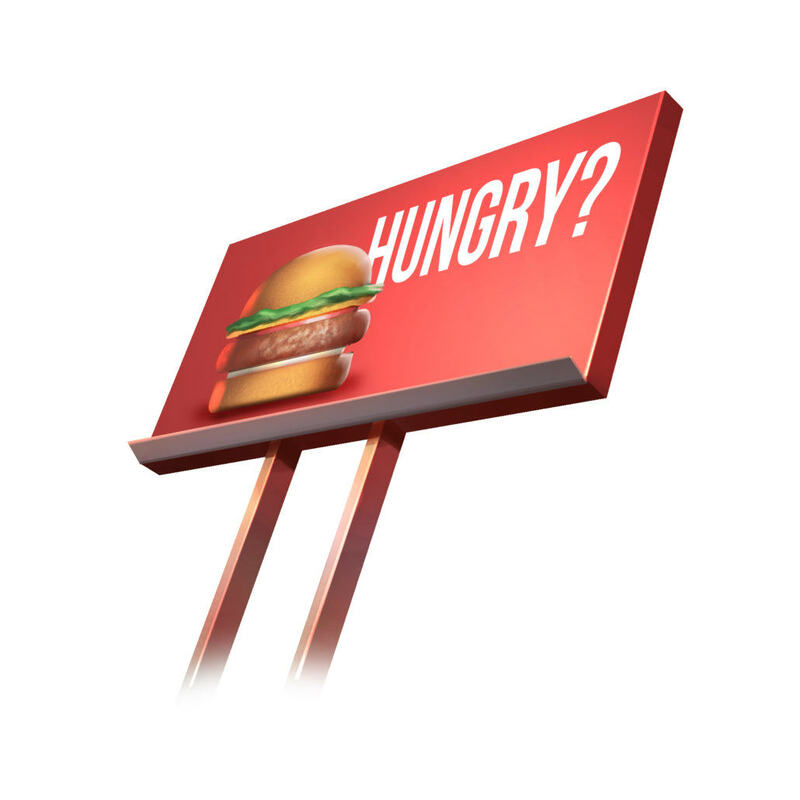 Posts about paid search, display and other online ads. As paid search marketers, we have a lot of tools at our disposal to get our campaigns optimized and performing at their peak. Most of those tools are designed with the big elephant in the room in mind – Google Ads (until very recently known as AdWords). However, it’s vital to remember that there are a lot of other paid channels for promoting you and your clients’ business. Today, let’s take a quick refresher on the options you have to generate traffic and business outside of Google Ads. The first place you should be sure to expand your marketing presence to is Bing Ads. According to comScore, Microsoft sites own 24.1% of search share across the U.S., compared with 63.5% for Google. While Google obviously dominates, that’s still a large chunk of available traffic that you’ll be missing out on if ignore Bing Ads entirely. And, while Bing Ads may not be quite as well developed and functional as Google Ads, they have done a lot over the years to keep up with many of the changes and improvements that Google has made to its own ad platform. Not to mention, getting started with Bing Ads is simple with their very handy “Import from Google” tool that brings your campaigns, ad groups, keywords, ads, and extensions directly from Google and sets them up in Bing. So, if you’re used to working in Google’s system and don’t want to duplicate your efforts, you can use that tool to import your initial campaign structure as well as bring in updates on an ongoing basis. Google’s Display Network can get you access to a wide variety of sites and, of course, offers remarketing. However, there are other platforms out there that can also provide you with remarketing and give you access to inventory that Google doesn’t reach, such as Facebook’s ad exchange. There are many out there, so this isn’t an exhaustive list, but a few to start your search are Criteo, AdRoll, and Perfect Audience. Criteo is one of the oldest platforms out there, and while there aren’t too many controls, it does deliver results. It was also one of the first platforms to offer dynamic ads from a product feed. AdRoll is a similar platform that has gone from site remarketing to allowing you to create audiences based on a large variety of data sources. 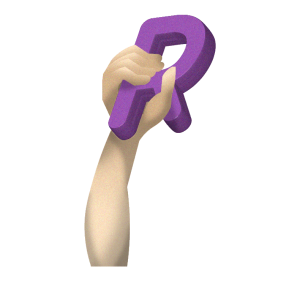 And Perfect Audience has a lot of campaign tailoring controls and allows you to partner with other businesses to cross-promote to other audiences in addition to your first-party audiences. The other major player in the digital advertising world is the social media giant. While not a paid search channel. Facebook gives you the flexibility of reaching potential customers with almost endlessly customizable audience targeting. The interface for Facebook advertising is complex and can be daunting to navigate – especially for someone who is used to the layout and workflow of Google Ads. However, once you learn your way around, you’ll find an incredible amount of options when it comes to creating, targeting, and optimizing your campaigns. In addition to a myriad of interest and demographic targeting options, you can use Facebook’s tracking pixels to create audience lists based on minute details of user behavior on your site. The above are the major options out there, but there are other opportunities to get in front of your potential customers. LinkedIn has a lot of options for targeting professionals, and the recent acquisition by Microsoft may lead to some interesting opportunities. There are a number of programmatic display platforms for placing your ads on site across the web outside of the Google Display Network. If you feel like you’ve been putting all of your digital marketing eggs into Google’s basket, this should give you a basis from which to branch out into some other online advertising channels. The first thing you do when creating a Facebook ad campaign is choose the objective. This selection tells Facebook what type of consumer to show your ad to. Some are more self-explanatory than others. If you plan to run video ads in hopes of getting as many views as possible, then a “video views” objective is your obvious answer. Conversely, if you plan to launch video ads in hopes of attracting new ecommerce customers to your site, then it would be best to select the “conversion” objective. Choosing the right objective will help Facebook help you reach your sales goals. 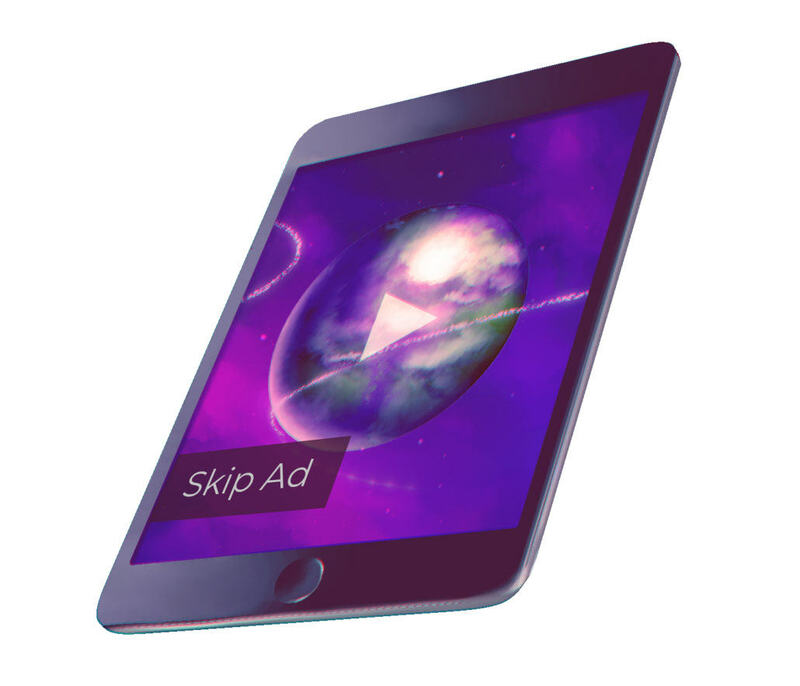 Don’t waste ad spend on an audience that is not interested in what you have to offer. Targeting too broad an audience will result in a lower engagement and conversion rate. Spend some time researching competitors, interests, and behaviors of your targeting audience to reach new potential buyers. Arguably the most important part of creating a new target audience utilizing exclusions. If you are looking to reach a brand-new audience, you want to exclude fans of your page, past purchasers, and even past website visitors to ensure that you are placing your brand in front new users. If you could only run one campaign for the rest of your life it should be a remarketing campaign. Remarketing campaigns serve your ads to a highly qualified audience resulting in high conversion rates and low cost per conversion. Standard remarketing is a great tool to promote sales and specials to consumers who are already interested in your product. Dynamic remarketing allows you to remind visitors of the products they viewed and encourage them to complete their purchase. Aside from targeting the wrong audiences, poor quality ad creative is the best way to sabotage your ad performance. Spend the time and effort to find and edit high quality images or videos for your ads. You only get one first impression and a bad crop or blurry image can cause potential customers to just scroll through. It is becoming more and more evident that video content is the star player. As social media and technology continue to evolve, users have grown accustom to more stimulating content and started to pay less attention to static images. If video production is too expensive or time consuming for your business, take advantage of photo slideshows to keep your audience engaged. Optimizing Facebook ad campaigns is what we do. Don’t have time to follow all of our tips? Let us handle it instead! In today’s digital marketing world, pay per click (PPC) advertising can be one of the most effective techniques to grow your business and increase sales. However, for every PPC marketing success story, there’s a company that’s wasted tens of thousands of dollars on paid media companies without significant results. So, what separates the winners from the losers? 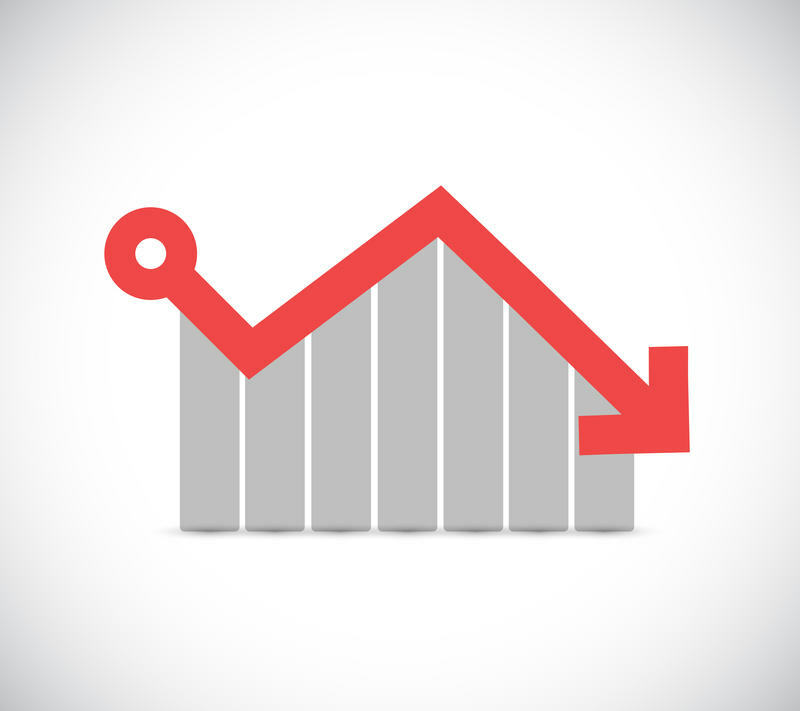 Why do some PPC campaigns fail? Many ad managers and companies experience difficulty with PPC campaign management. They’re either mismanaging their AdWords and social media ad accounts or have they’ve started on the wrong foot entirely. Most businesses are making a few of the same common mistakes, which are preventable and easy to fix. Every PPC professional has made mistakes in at least one of his or her campaigns and failed to meet the client’s or boss’s expectations. Learn about poor management techniques that result in failed campaigns and what you can to avoid it in the future. Stop spending money on ads that don’t give a solid return on investment (ROI)—get out of harmful cycles and use your dollars usefully. Initial expenditures will be high for Facebook Ads, AdWords, and other platforms because you don’t have a high quality score from Google and other advertisers. Your new campaign will start with off with high cost-per-click (CPC) and subsequently receive low engagement, low click-through rate (CTR), and low conversion rates. Your engagement and other metrics don’t get any better, so you end up with higher costs and a failed campaign. This PPC campaign is spending too much money on too few conversions. You have two options. Either build your brand awareness before running pay per click advertising or advertise to a group of people who are already familiar with your product. If you have an already interested group, your ads are more likely to be successful. Target people who already follow you on Facebook, Twitter, and Instagram to see better engagement, click-through rate, and conversion for your PPC marketing. If you don’t already have a community of users who love your product, invest in a branded campaign before spending money on paid advertising. Cost Per Lead is an indicator rather than a measure of success. Even if you have great CPL, it doesn’t guarantee profitability. You should instead focus on profitability. Learn which keywords drive the lowest cost-per-sale, what search terms produce the most revenue, and which of your ads are giving you good ROI. It’s about concentrating on the right metrics. Don’t overload your account with too many keywords. Most conversions come from 12% keywords in a campaign. You can waste ad spend on keywords that aren’t performing. 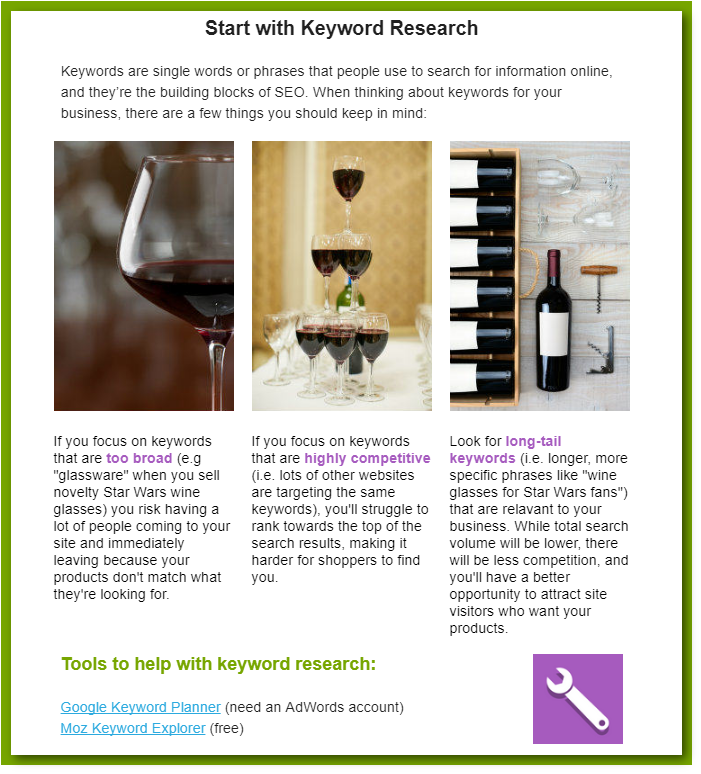 Find the search terms your customers are using and modify your keywords to match those. Consider using more long-tail keywords. It might seem like the wrong move to start bidding high, but CTR and ad rank are linked. Early in your campaign, raw clicks matter. Try to figure out what combo of keywords, ad copy, and landing pages work best for the campaign, and then lower your bids later. Call tracking and local tracking are necessary to make sure you don’t miss any conversions. Use call forwarding numbers and other platforms to integrate into your CRM. Spend time writing good ads. 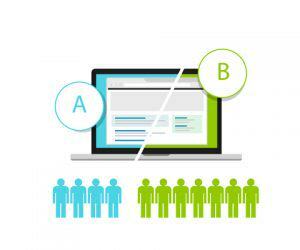 A/B test ads that have a different intent while focusing on your customers’ issues and how to solve them with your product or service. Your landing pages also need to be well-written and organized. Don’t spend money on PPC campaigns only to have your customers land on crappy landing pages. Many business owners are only managing their campaigns once per quarter, according to Larry Kim. You need to spend at least 20-30 minutes a week managing your AdWords campaign. What is your target CPC? Do you have a marketing strategy? You need specifics before spending money on an AdWords campaign. These mistakes can cost a company thousands of dollars and tank a PPC campaign. With the fixes to these simple errors, you can turn a poorly performing AdWords campaign and transform it into a moneymaker. Get the return on investment your business is looking for by running your pay per click advertising the right way. Whether you’re launching a new product or need to revitalize an existing PPC campaign, the right tactics will lead to your success. For the tips you need to drive your pay per click advertising to success, consult the experts at Leverage Marketing. You’ll get the strategies you need to take your campaign from disappointing to successful and meet your internal goals. Contact us today and bring your business to the next level. Google has always had a place to showcase recommended changes to your account. In the old interface, this was the Opportunities tab. Over the years, many account managers trained themselves to ignore this tab because most of the recommendations seemed to be suggestions on how to spend more money without regard for an account’s strategy. 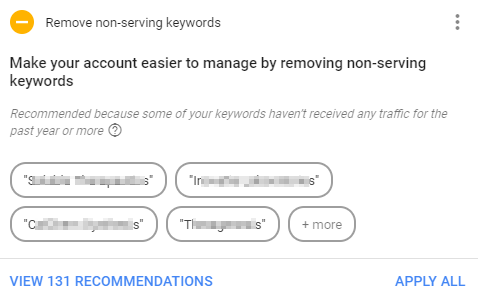 As AdWords users have been migrated over to the new user interface, these suggestions have also migrated to a new place: the Recommendations tab. Each category makes suggestions that affect different groups of common problems in AdWords campaigns. Repairs are technical issues keeping your ads from serving properly. These include broken URLs, disapproved ads, and empty ad groups. If you are actively monitoring your accounts, you’re probably on top of these things, but it’s nice to have all of these potential issues consolidated in one spot. Bids & Budget recommendations will probably look the most familiar to users – and are probably one of the things that annoyed you about the old Opportunities tab. Most of these can be described as alerts that Google has sent when they found places where you could be spending more money, but are limited somehow. There are also generic recommendations about switching to a bid strategy such as Target CPA. Things start to get more interesting as we move into the Keywords & Targeting set of recommendations. There are some holdovers like “add phrase or broad match versions of your keywords,” of course. But there are also some useful new additions. Remove redundant keywords is a useful tool, for example. Over time, your account can start to accumulate lots of keywords. As Google’s algorithm has evolved over the years, the need for multiple variations on a theme has been reduced, so finding opportunities to reduce duplicates and other redundancies can make managing your accounts easier. There’s also a tool for alerting you to non-serving keywords – keywords that have been active for at least a year without serving a single impression. Once again, eliminating these extreme low-traffic keywords can help ease your job as an account manager. The last category of recommendations is Ads and Extensions. 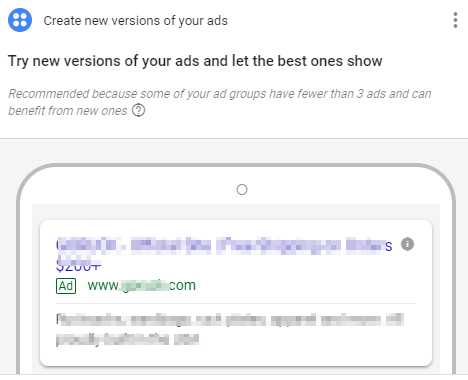 Here Google alerts you to ad groups with too few ads for effective testing, as well as opportunities to increase your use of Ad Extensions. 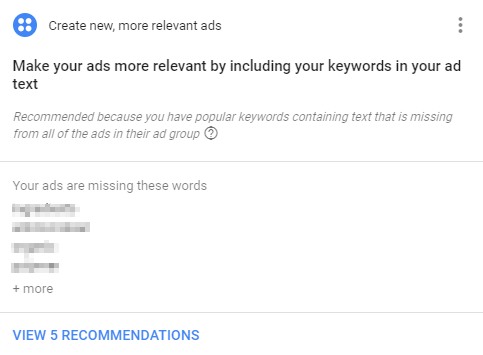 AdWords will even create suggested ads for you in some cases. 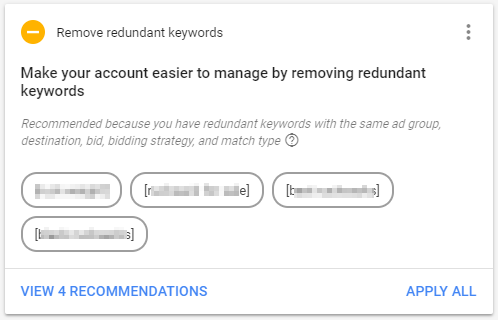 One important note here: AdWords will also automatically add these to your account after a certain time unless you change this setting. It’s a bit annoying, but you have to explicitly opt out of this if you don’t want AdWords writing your ad copy for you. For most businesses and AdWords managers, it’s best to keep full control over the copy in your ads. 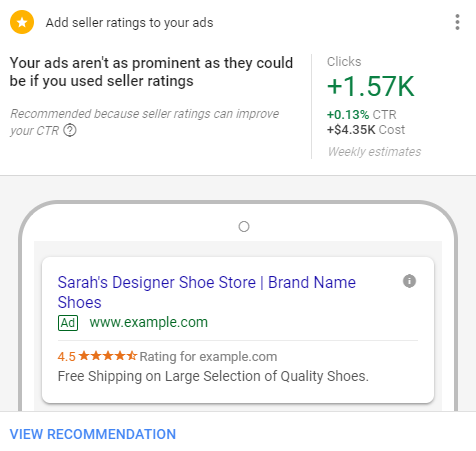 In the end, the AdWords Recommendations tab is a step toward greater understanding of your AdWords campaigns without shamelessly pushing you to spend more money, but it still requires careful navigation and decision making to make maximum advantage. There’s no need to learn the ins and outs of AdWords Recommendations when you’ve got the paid search team at Leverage Marketing on your side. Let us show you what we can do. Amazon’s Race to the Top: Will It Change Ecommerce? Amazon has become a titan in the ecommerce world over the last decade, making up 34% of ecommerce spending in 2017. In the last several years, Amazon has broken into new markets, buying up new companies and expanding its offline presence. 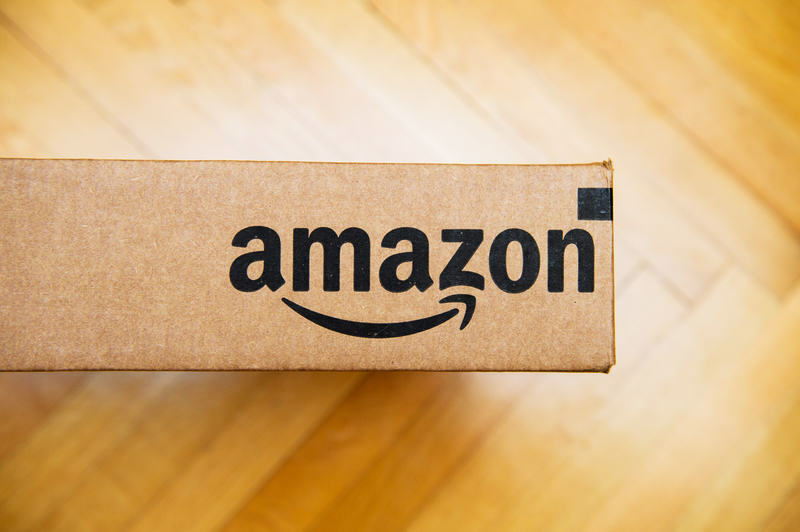 With seemingly endless resources at its disposal, Amazon has the power to launch new technologies, leverage its supply chain in innovative ways, and change the face of ecommerce as we know it. With Amazon’s entrance into the online advertising space, the company controls vast portions of retailers’ online experience, from sales to marketing, and its ad share is only growing, as it becomes the #3 player behind Google and Facebook. As traditional retail stores become less relevant, Amazon’s power grows. By 2021, Amazon’s ecommerce market share will surpass 50%. In the coming years, Amazon will continue to innovate and change the way we shop. While Amazon started off as an online marketplace for other retailers to sell their merchandise, it’s become so much more than that in recent years. The company has released a branded line of hardware products, including e-readers, including the current Echo products that integrate Alexa (Amazon’s voice assistant). With seemingly limitless resources and capital, Amazon can grow its ecommerce business in new directions. Amazon’s recent purchase of Whole Foods Market indicates a push into grocery, one of the largest potential markets in the United States. Whole Foods only controls less than 2% of grocery market share, but with Amazon’s supply chain management and cost-cutting measures, it could take on big players like Wal-Mart and Kroger. Only Costco sells more organic food than Whole Foods currently, and that market is ripe for growth in an online expansion. With innovative new products like Amazon’s Dash Wand, which allows you to scan items, and order new food from Prime Now and Prime Pantry, the newly acquired Whole Foods can change the way grocery shopping works. Watch for continued expansion from Amazon in new areas like meal kits, competing with Blue Apron, and home improvement goods, going up against Home Depot and Lowe’s. Amazon has already reached a deal to sell Kenmore appliances from Sears and has meal kits available in the Seattle area. Look for Amazon to take advantage of current trends in ecommerce. There’s been a trend toward ecommerce and away from traditional offline retail in recent years. As ecommerce sales grow, reaching close to $400 billion in 2016, more retail stores file for bankruptcy, including The Limited, Wet Seal, RadioShack, Payless, Gymboree, and more. With easy and fast access to goods on Amazon and other online platforms, many retail stores can’t keep up. Only Walmart has been able to maintain pace with Amazon’s dominance. Both aspiring to be omnichannel retailers, Walmart and Amazon are expanding from opposite sides, with Walmart building out its ecommerce presence, and Amazon expanding its offline footprint. 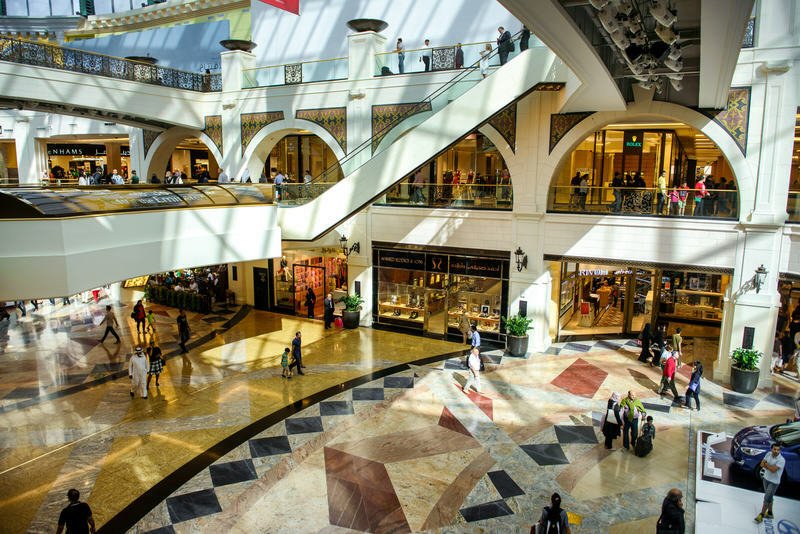 Traditional retail outlets won’t completely die out yet, but the landscape is changing drastically, and companies like Walmart need to modify their strategies to compete with Amazon. As Walmart buys up ecommerce companies like Jet.com, Modcloth, and Bonobos, Amazon is building out offline bookstores, purchasing companies like Whole Foods, and spreading out its warehouses across the United States and globally. It’s unclear which company will succeed in the end, but it’s fascinating to watch. When looking at ecommerce in 2017, ads might be the most vital factor. With Google and Facebook currently ruling the roost on ads on desktop and mobile, Amazon is attempting to break into the space, with $1.5 billion in ad sales in 2016. Half of online shoppers begin their search on Amazon, making the marketplace an integral ad space for ecommerce retailers. Combined with Alexa voice searches, Prime video, and other marketing efforts, Amazon’s ads platform will continue to grow. Amazon’s growing ecommerce dominance necessitates working with the company to sell your product, serve up ads, and more. As Amazon continues to develop new strategies and ventures, it will change ecommerce forever. Are you an ecommerce company looking to grow your sales? Leverage Marketing has the knowledge and experience to help you succeed in this evolving space. Contact us today, and we’ll help your business succeed. https://www.theleverageway.com/wp-content/uploads/2017/08/lvg-blog-seo-vs_24035999_9aa2dd040f71023b038fe4b6f2876f3b6c528716.png 300 900 Reuven Shechter https://www.theleverageway.com/wp-content/uploads/2016/05/logo-1.png Reuven Shechter2017-08-24 21:00:302017-09-05 15:43:39Amazon's Race to the Top: Will It Change Ecommerce? PPC is a search engine marketing technique that is comparable to traditional advertising practices, in that you pay in accordance to your goals. The amount you pay will determine where, when, and how your ad shows up, similar to buying advertising space in a magazine or on a billboard. While this comparison is somewhat of an oversimplification, the basic concept is the same: if you have the money and want to reach potential customers, you’ll be able to use PPC to gain a lot of visibility. Wondering how to get on the top of the first page of Google with PPC? Pay the highest cost per click (CPC) for your target keywords and search phrases. do not intend to deceive search engines. Wondering how to get on the top of the first page of Google with SEO? Optimize your site to be the most relevant to searchers for your target keywords and search phrases. There is a lot of confusion when it comes to digital marketing, and for good reason – search engines, bidding, and algorithms are much more alien than familiar forms of marketing that businesses have been dealing with for decades. However, knowing the differences between SEO and PPC is key to being able to make the right choices, whether you’re pursuing your business’s digital strategy yourself, or you’re seeking a consultant or agency to give expertise. Luckily, a little knowledge goes a long way in the digital marketing world! Here are a few common misconceptions about the different types of digital marketing that we encounter fairly regularly at Leverage, and some information that will help you make clear decisions for your business. Trust us – you don’t want to play around with decisions based on less-than-factual information gleaned from your uncle or web developer’s friend of a friend. Misconception #1: SEO is Basically FREE MONEY. Remember the first sentence of this article, when I said that SEO was “free”? There are quotations around that “free” for one reason: GOOD SEO is basically never free. Unless your cousin is a freelance SEO consultant willing to take on 10+ hours a week worth of pro bono work for your site, good SEO is going to take some resources. At the very least, performing good SEO will take some time and manpower, and at the most, it could require reallocating your marketing budget a bit. Notice I keep saying GOOD SEO, not just SEO. Sure, you can find a guy living in the shadows of the internet who vows to bump your site to the first page of Google by next week for a low flat rate of $50. However, like most things that sound too good to be true, that is most likely not going to turn out well for your site. You might end up with bad SEO work that will cause your website to be penalized and require thousands of dollars of damage control work to be performed by actual experts, or you might just end up with nothing to show for the funds you invested. Do your homework and find an experienced SEO agency instead. So your friend tried working with an SEO consultant once, and it didn’t really bring him the huge returns he was looking for. He now runs paid ads for his site, and he gets a LOT of traffic from them. That sounds great, right? Why shouldn’t you just perform the same search engine marketing techniques and put all of your resources into PPC efforts as well? Digital marketing, like almost every other type of promotional or marketing effort, is not a one-size-fits-all deal. Some businesses will find that their advertising money goes to waste if they pay tons of cash for PPC that drives traffic but that doesn’t result in conversions, and some businesses will find that SEO efforts just aren’t enough on their own to drive brand awareness. The balance of PPC and SEO varies from business to business. Some businesses will find that SEO efforts bring a lot of value to their business, as they help create trust and drive qualified traffic. Other businesses find that PPC gives them a huge boost in visibility that takes their brand to the next level. Neither SEO nor PPC is wrong or bad, and neither is superior – they are simply different practices that are best leveraged off of each other. Not sure what your business needs? We want to take a look! Learn more about how the Leverage Marketing team can dig into the details behind your business and your industry, make sense of the numbers, and draw a roadmap for success. You might have had someone tell you that they pursued either/both SEO and/or PPC in the past with horrific results. Maybe their site received a penalty, their ads were all disapproved within Adwords, or their consultant was less than attentive to their account. Search engine marketing must be pretty risky, right? In the SEO and PPC world, there are always risks and bad stuff does happen sometimes – but that’s true of any marketing effort that is made without the right attention to detail. Remember when one classic American department store attempted to rebrand their entire business model, and realized that their changes actually made their store less desirable to their target market? Sure, they might have skimped on their market research and dropped the ball when it came to listening to their customers’ needs, but their epic rebranding fail doesn’t indicate that any rebranding effort made by any company is always a waste of time – it simply indicates that they didn’t take the right steps to achieve success. Look at what a legendary designer clothier’s rebranding campaign achieved – their excellent rebranding effort doubled revenues over a five year period and saved the brand’s exclusive image. Search engine marketing techniques, like rebranding or really any other business effort, are only as successful as the team driving strategy. That’s why it is vital that you choose the right partner for SEO or PPC campaigns. Paid and non-paid digital marketing strategies are intertwined efforts, which is why finding an experienced full-service digital marketing agency to handle all the intricacies of your business is one of the best ways to ensure success. If you’re splitting your efforts or going it alone, do your research and ask yourself if you’re willing to take the risk of playing it too small in an increasingly competitive and rapidly changing digital landscape. Want more digital marketing myth-busting and guides to getting the most out of SEO and PPC for your business? Sign up for the Leverage newsletter for informative and non-annoying weekly digests today. 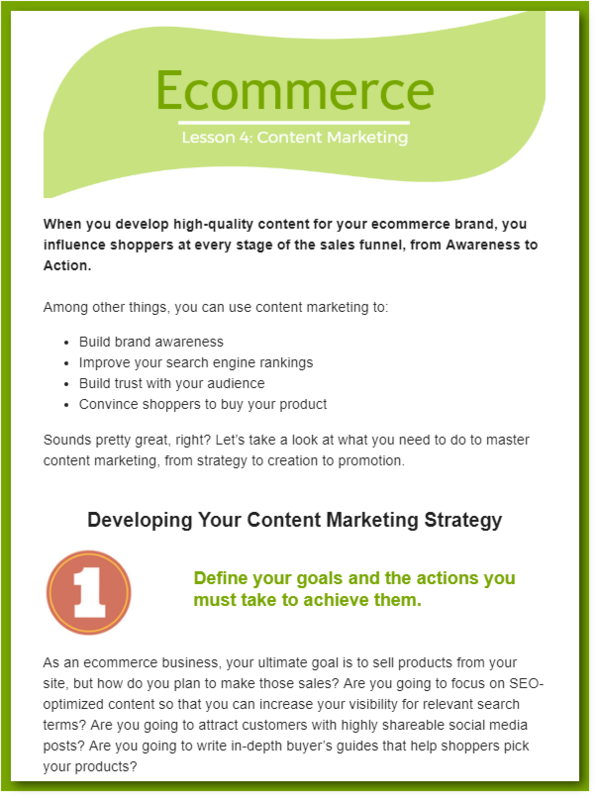 https://www.theleverageway.com/wp-content/uploads/2017/08/SEO-Vs-PPC-Featured-Image.png 300 900 Zoe James https://www.theleverageway.com/wp-content/uploads/2016/05/logo-1.png Zoe James2017-08-22 09:37:172017-08-22 14:38:25What's the Difference Between SEO and PPC? Writing great copy for paid search ads is no easy feat—it requires a combination of creativity, analytical thinking, and a ridiculous amount of testing. To learn more about how to create paid search ads that resonate with customers, I spoke with Michael Holeman, one of Leverage’s paid search analysts and the co-creator of our new RightWord lexical analysis tool. What benefits do you think advertisers get from search ads that they don’t get from other ad formats? The biggest benefit is the ability to get your chosen message in front of potential customers right when they’re searching. Most traditional advertising, and even other digital advertising, is about raising awareness and trying to guess where your audience is. 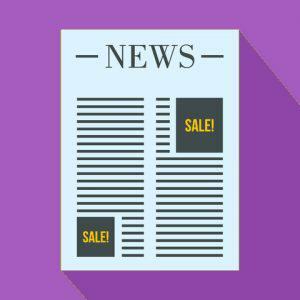 Text ads that show on search results pages get your ad copy in front of the audience at their moment of need. What are the most important ad optimization strategies for businesses that are just starting with paid search marketing? There are a lot of strategies that go into an effective paid search campaign. You obviously have to think about things like campaign settings, keyword selection, and organization, but once the campaign is set up, the most important ongoing optimization strategy is ad testing. You’ve figured out your keywords and the right time to have your message appear, but now you have to match that with the right message. What tips do you have for improving calls-to-action in paid search ads? Test, test, test. And test a variety of messages—different verbs, different focuses—to see what resonates. For example, if you’re an ecommerce business, you might want to try testing a very direct call-to-action like “Shop Now” against something that’s a little more informational, like “Browse Our Selection,” just to see which one your audience is going to respond to better. What are some of the biggest mistakes you see businesses making in their ad copy? The biggest mistake is having a lack of variety and imagination. If you’re only testing small changes to the same basic theme, you’re not giving yourself a lot of room to grow, and you’re going to get stuck in a rut with your ad copy. To get more specific, one of the biggest ruts people get stuck in is writing ads that focus too much on the product or service without really speaking to the needs or benefits of the customer. Let’s say a business is increasing their PPC budget and looking for a way to save time on ad creation and testing. 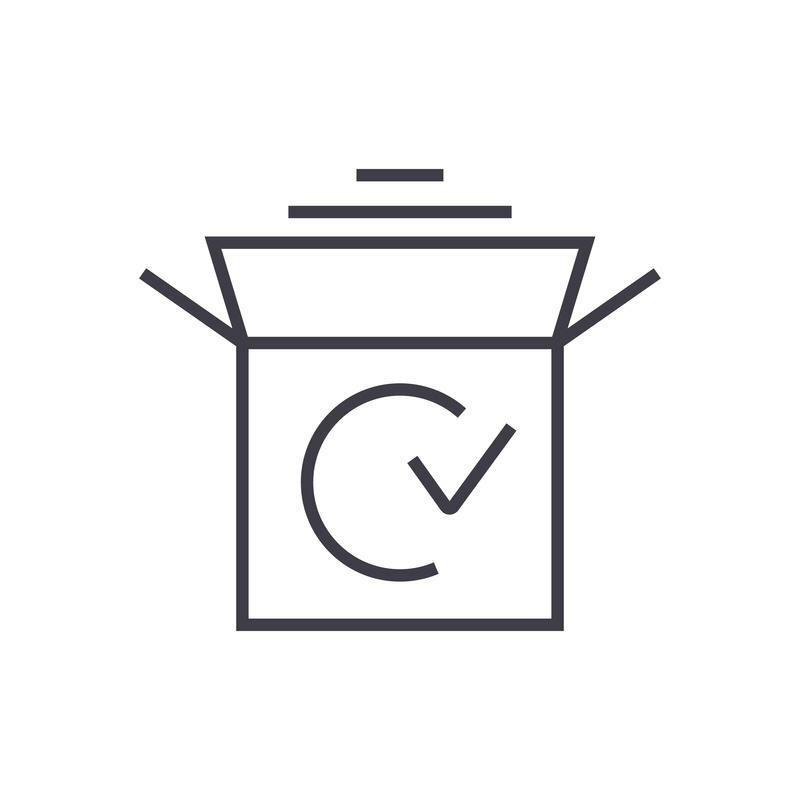 What should they do to help manage/automate the process? 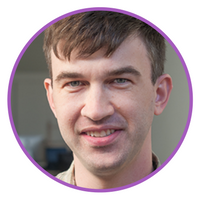 A PPC analyst can often manually manage a young or small account. As a rule of thumb, if an account has fewer than 20 active ad groups, then one person can handle manually checking A/B tests, using a statistics calculator to test for a winner, pausing the “loser,” and creating new ads. It can be tedious, but for a small account, it’s doable. As the account grows, it’s best to start looking for tools that will help you automate the testing process. There are a lot of tools out there that will help identify and flag which groups have a winning ad…there are a number of AdWords scripts and third-party platforms that will handle this as well. These range from thin, smaller platforms that will handle a few optimization tasks to multi-platform ad management services such as Marin. How do you identify the words and phrases that will best resonate with readers when you have a limited number of characters to work with for your ad copy? As you test, it’s important to go back into your testing history to see if you can discern any patterns regarding what’s worked and what hasn’t. Also, understanding a business’s products/services and the needs they’re fulfilling can help you choose the type of ad copy that you want to test. The ad copy length limitation is something you’re always coming up against. You have a short amount of space to make your pitch, so you want to look at every single word you’re using and make sure everything that goes into your ad copy is helping to convince the customer. You and Tiger Sivasubramanian, our Director of Paid Search, recently built an advanced language analysis tool called RightWord. 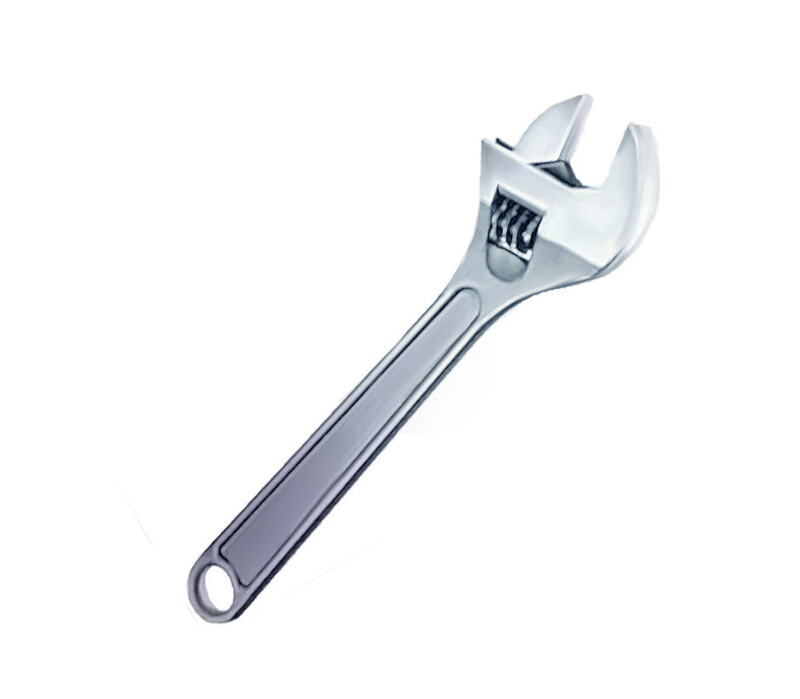 What pain points led you to create your own tool rather than just using what was already available? Identifying patterns across ads can be simple enough to do on smaller accounts, but it’s not something you can scale without some sort of technology. With bigger accounts, you’re not just comparing one ad against another, you’re comparing a whole set of ads that have won against a whole other set of ads that have lost across time to find patterns. It can be really hard to see that bigger picture when you’re looking at individual tests over and over again. All of the ad optimization tools out there focus on speeding up the process of testing Ad A vs. Ad B. There were none available that would allow us to look at an entire account over a given timeframe and try to pick up any patterns about which kinds of ads were consistently winning or losing. We built RightWord as a tool to help us get those insights. It looks at all the ad tests that have happened in a given timeframe and assigns a score to each word in each ad–regardless of whether it’s a winning or losing ad– and totals up the scores for each word across time. So now we can know not just which ads won, but if there were any words that consistently outperformed or underperformed. How does that help you improve ad copy? The RightWord report is just a bunch of numbers when you first get it, but analysts can look over it and make inferences based on the data and what we know about the psychology behind some of these words. The report gives you a better understanding of why certain ads win or lose. The better you understand this, the more you can write ads that fit into the winning framework. RightWord also helps you test more efficiently because you learn what to avoid. If I know a certain type of message consistently underperforms, then I know I don’t have to keep testing it. 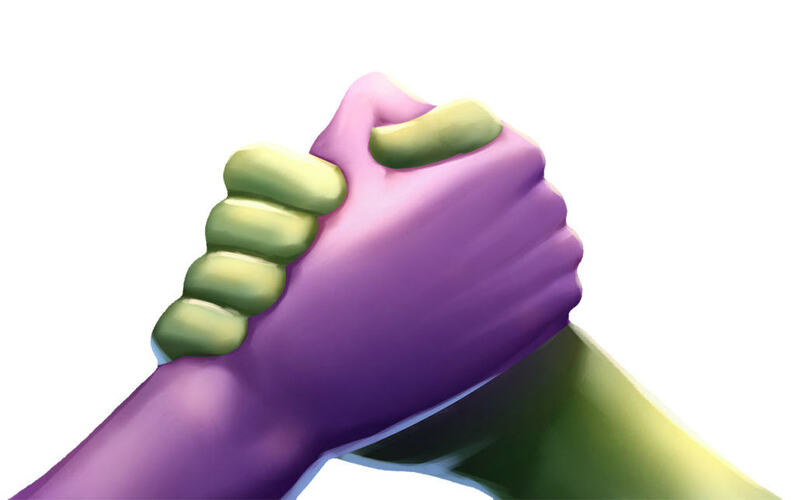 Now we can focus all our testing energies on not just good vs. bad, but good vs. better. Our paid search team is now using RightWord to gain new insights into our clients’ pay-per-click advertising. To learn more about how we can use RightWord to help your business, contact us!